Happy Holidays! 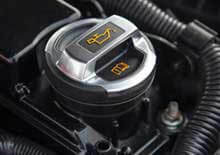 We have our Comprehensive Inspections on Sale now" $30 off all Comprehensive Maintenance / Safety Inspections - thorough inspection for maintenance & safety special! Not valid with other offers or specials. Coupon must be presented in advance. 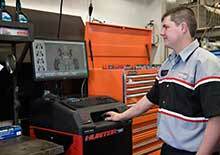 Industry leading 3 year/60km North America Wide Warranty on all repair work. 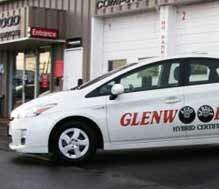 Nobody does customer service like Glenwood! They are awesome! They take great care of us each and every time we bring in our vehicles! Always very professional. Explain if and or what they might have found. Let you know what needs to be done now or later, but still always leaves it as your decision. I'll always bring my vehicles to Glenwood for service. 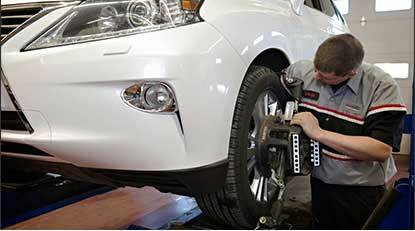 Glenwood Auto Service has a long history of customer service in Saskatoon, delivering quality auto repair service since 1973. Our motto from the beginning has been “service is our discount”. Jim Scott started the company in 1973 when he purchased and took over a struggling Esso service station at the corner of 8th Street and Preston Avenue in Saskatoon. Glenwood Esso was born. 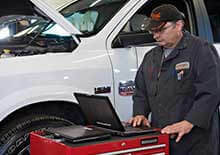 At Glenwood Auto Service our technicians are qualified to perform SGI inspections on first time registered inspections. 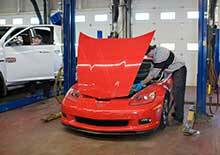 Glenwood Auto Service is a full-service auto shop. Our expert technicians will ensure your vehicle is maintained in top condition to help avoid more costly repairs down the road. If you don’t see something on the list below please ask.